If Your Carpet Smells of Mold, It Could Be a Sign of a Larger Issue. 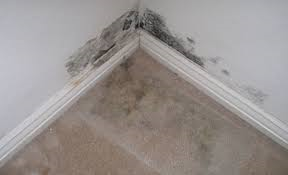 Mold grows best in warm, wet and undisturbed areas. Mold can cause many health concerns, especially with seniors and children. If your carpet has gotten wet, it can develop a musty, moldy smell that can be removed. Maine, with its many lakes and proximity to the ocean, is humid for most of the year which contributes to mold growth. There are instances however where structural issues may be present or the mold is growing in other areas. ServiceMaster has high powered truck mounted extraction that can clean most carpets. We also use specially formulated anti-microbial solutions to kill mold growth. Used together, this process will leave carpets healthy and smelling great. This problem is much more difficult to fix. Carpet pad is great for trapping moisture. It acts like a sponge. If water has seeped through the carpet or up through the subfloor, the musty smell can be emanating from the pad. As long as it stays wet or if there is enough humidity, there will be a musty smell. In that case, most often, the best course of action is to remove the pad. Before installing new pad, it is highly recommended to fix the source of the moisture. ServiceMaster can treat the subfloor and dry the affected area to ensure that no mold is able to grow. Mold that has established itself can grow indefinitely as long as there is humidity. ServiceMaster has IICRC trained professionals who can remove mold from a home or business. It is imperative to remove all of the mold that is both visible and that which is behind walls or ceilings. With the latest technology and techniques, ServiceMaster can remediate your mold issue. We also work with virtually every insurance company if the damage has resulted in an insurance claim. For moldy carpet cleaning call us today. We are available 24/7/365 for emergency service for your home or business. With locations in Falmouth, Auburn and Yarmouth we serve Southern, Central Maine as well as Oxford County.